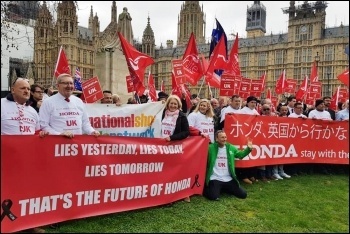 Honda's announcement that it will close its Swindon car plant in 2021 has been met with anger and dismay by workers. 3,500 jobs could go in the factory itself and as many as 15,000 are at risk including the supply chain. Massive job losses and the knock-on effect to the local economy will be devastating for the town. Honda's factory in Turkey is also threatened with its European manufacturing being centralised back to Japan. It's outrageous that such decisions about the livelihoods of workers and their wider communities are taken by unelected bosses, based only on what makes them the most profit. The Honda shop stewards have a proud record of defending their members. They have built up trade union organisation at the plant and been big supporters of the rank-and-file trade union organisation, the National Shop Stewards Network. 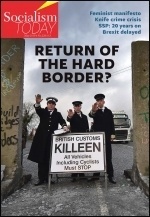 In 2011, Unite the Union convenor Paddy Brennan won reinstatement after being suspended by management. This will be the fight of their lives, with higher stakes than previous struggles. Negotiations with management are being backed with action which will be vital if jobs are to be saved. The next step of the campaign is the mass demonstration on 30 March in Swindon, called by Unite. 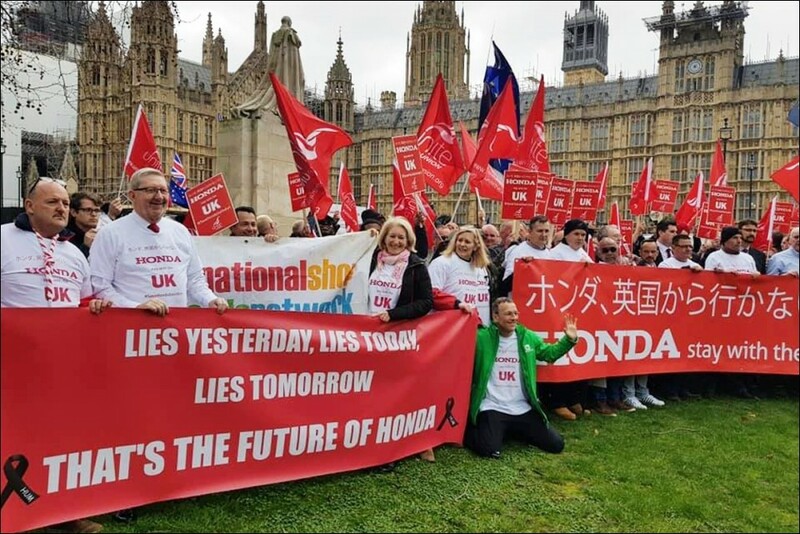 This will mobilise not just Honda staff but workers from across the town, as well as supporters up and down the country. Solidarity is one of the most powerful weapons our class possesses and it is important to link up the campaign with other workers, particularly those also facing closures or large-scale redundancies. The plant should be taken in to public ownership to save jobs. 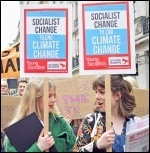 The Socialist Party calls for nationalisation under democratic workers' control and management. Decision making should be taken out of the hands of greedy bosses and the working class must be able to decide its own future. Nationalisation is possible, if it is fought for. In 1971 even the Tory government was forced to nationalise Rolls Royce to save it. Later that year the shop stewards' committee at Upper Clyde Shipbuilders in Glasgow organised a 'work in' occupation of the shipyards. Again, the Tory government was forced to step in against their wishes. It may prove necessary to follow this heroic example in defence of Honda jobs. This demonstration comes on the tenth anniversary of the heroic occupations by Visteon (ex-Ford) workers in Belfast, Enfield and Basildon when the company went into administration. The action won tens of millions in redundancy payments, when the workers were facing statutory terms. Jeremy Corbyn should promise that, under his leadership, an incoming Labour government would nationalise the plant, along with other threatened industries. This would add to the pressure and, alongside the actions of workers, their union and the wider working class, could help prevent closure. Unite convenor at Honda Swindon Paddy Brennan calls on people to join the demonstration on 30 March - "It doesn't matter what job you do or what union you're in. If our plant closes, everyone will be affected. We have to send a message to these multinational companies that you can't just pack up and leave and devastate our communities. We've got no choice but to fight. There are many others in manufacturing in our position. Hopefully, our fight will galvanize others to do the same."